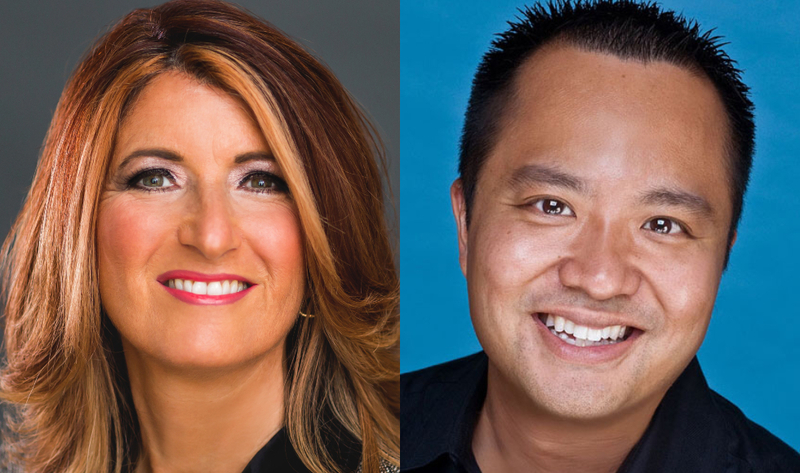 Industry professors Theresa Cascioli and Alfredo Tan will advance DeGroote’s commitment to business innovation through 2021. Teresa Cascioli, BCom ’83, and Alfredo Tan, MBA ’01, have begun three-year terms with the school, and will help further DeGroote’s commitment to innovation in business through 2021. “Teresa is someone who’s had great success in business, and she’s still succeeding,” says Len Waverman, Dean of the DeGroote School of Business. In her new role, Cascioli will be an industry professor focusing on entrepreneurship within the area of Strategic Management. Cascioli will also mentor students and take part in alumni and community outreach through Knowledge @DeGroote and the DeGroote Women’s Professional Network events. Born and raised in Hamilton, Cascioli is known for taking turning once-bankrupt Lakeport Brewing into a financial and commercial success. Under Cascioli’s leadership, Labatt acquired Lakeport in 2007 for $201 million. In 2008, she received the Wayne C. Fox Distinguished Alumni Award, one of McMaster’s highest alumni honours. She was also the primary driver and benefactor behind a wall at the Ron Joyce Centre that honours past recipients. In recent years, Cascioli has written a popular children’s financial literacy book series, M is for Money, and developed a strong reputation for motivational speaking. She has also served as a strategic adviser to Labatt and KPMG. Cascioli has donated more than $6 million to the community throughout her career, including funding the Teresa Cascioli Chair in Entrepreneurial Leadership at DeGroote. The chair is held by human resources and management professor Benson Honig, who specializes in the study of entrepreneurship. Tan, a former Facebook executive, will also serve as an industry professor in Strategic Management. Tan and his family immigrated to Canada from the Philippines when he was a child. He undertook a diverse career path that began with studies in forensic science and biology, and later embraced the developing tech sector. Tan will be involved in student engagement activities in the Executive MBA in Digital Transformation (EMBA), MBA, and BCom levels, and will speak on topics such as digital transformation, organizational leadership and strategy. Additionally, he will provide research support for the McMaster Digital Transformation Research Centre (MDTRC), and sit on DeGroote’s new advisory board on innovation. Tan was a founding member of Facebook Canada in 2009 and served as part of the Canadian executive team responsible for high-growth verticals. In 2016, Tan was founding manager for the launch team for Facebook and Instagram in the Philippines. His leadership work took him through Southeast Asia, with stints in Thailand, Singapore, Malaysia and Indonesia. 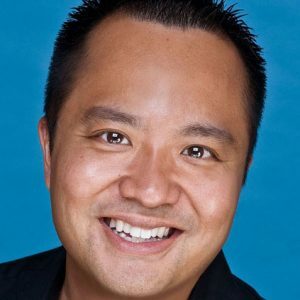 Tan joined WestJet in March 2018 as chief digital and innovation officer. He is in the process of transforming the overall guest experience across WestJet’s digital channels. Two global business leaders with deep ties to McMaster University have joined the DeGroote School of Business as industry professors. 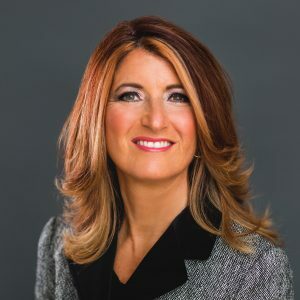 <a href="https://www.degroote.mcmaster.ca/articles/power-players-degroote-womens-professional-network-marks-one-year-anniversary/">Teresa Cascioli</a>, BCom ’83, and <a href="https://www.degroote.mcmaster.ca/articles/degroote-alumnus-alfredo-tan-leads-digital-transformation-facebook/">Alfredo Tan</a>, MBA ’01, have begun three-year terms with the school, and will help further DeGroote’s commitment to innovation in business through 2021. “Teresa is someone who’s had great success in business, and she’s still succeeding,” says Len Waverman, Dean of the DeGroote School of Business. “She’s a noted entrepreneur, and as we’re pushing more into the innovation and entrepreneurship space, it will be great to have her expertise on hand.” In her new role, Cascioli will be an industry professor focusing on entrepreneurship within the area of Strategic Management. Cascioli will also mentor students and take part in alumni and community outreach through Knowledge @DeGroote and the DeGroote Women’s Professional Network events. <img class="img-circle alignleft wp-image-82165 size-medium lazyloaded" src="https://www.degroote.mcmaster.ca/files/2018/09/Teresa-Headshots-13v2-1-300x300.jpg" alt="" width="300" height="300" /> Born and raised in Hamilton, Cascioli is known for taking turning once-bankrupt Lakeport Brewing into a financial and commercial success. Under Cascioli’s leadership, Labatt acquired Lakeport in 2007 for $201 million. In 2008, she received the <a href="https://www.degroote.mcmaster.ca/distinguished-alumni/">Wayne C. Fox Distinguished Alumni Award</a>, one of McMaster’s highest alumni honours. She was also the primary driver and benefactor behind a wall at the Ron Joyce Centre that honours past recipients. In recent years, Cascioli has written a popular children’s financial literacy book series, <em>M is for Money</em>, and developed a strong reputation for motivational speaking. She has also served as a strategic adviser to Labatt and KPMG. Cascioli has donated more than $6 million to the community throughout her career, including funding the Teresa Cascioli Chair in Entrepreneurial Leadership at DeGroote. The chair is held by human resources and management professor <a href="https://www.degroote.mcmaster.ca/profiles/benson-honig/">Benson Honig</a>, who specializes in the study of entrepreneurship. Tan, a former Facebook executive, will also serve as an industry professor in Strategic Management. Tan and his family immigrated to Canada from the Philippines when he was a child. He undertook a diverse career path that began with studies in forensic science and biology, and later embraced the developing tech sector. “Alfredo is on the frontier of digital innovation, and that helps us be on the frontier as well,” says Waverman. “With his background and experience at Facebook, he brings to us frontline experience of what it takes to innovate in a digital space, and to be doing it every day.” <img class="img-circle alignleft wp-image-82161 size-medium lazyloaded" src="https://www.degroote.mcmaster.ca/files/2018/09/alfredo-tan.121-300x300.jpg" alt="" width="300" height="300" /> Tan will be involved in student engagement activities in the Executive MBA in Digital Transformation (<a href="https://emba.mcmaster.ca/">EMBA</a>), <a href="https://mbarecruit.degroote.mcmaster.ca/">MBA</a>, and <a href="https://ug.degroote.mcmaster.ca/">BCom</a> levels, and will speak on topics such as digital transformation, organizational leadership and strategy. Additionally, he will provide research support for the McMaster Digital Transformation Research Centre (<a href="https://mdtrc.mcmaster.ca/">MDTRC</a>), and sit on DeGroote's new advisory board on innovation. Tan was a founding member of Facebook Canada in 2009 and served as part of the Canadian executive team responsible for high-growth verticals. In 2016, Tan was founding manager for the launch team for Facebook and Instagram in the Philippines. His leadership work took him through Southeast Asia, with stints in Thailand, Singapore, Malaysia and Indonesia. Tan joined WestJet in March 2018 as chief digital and innovation officer. He is in the process of transforming the overall guest experience across WestJet’s digital channels.